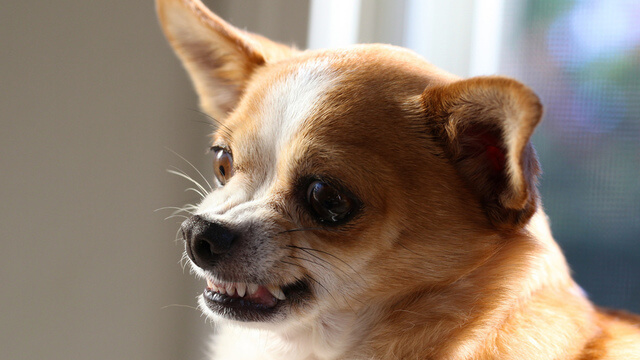 My Dog Growled At My Child....What Now? Hearing your dog growl at your child is a heart stopping moment for any parent. Your reaction may well be to panic, punish the dog and then start to consider options like re-homing. But stop...breathe...it may not be as bad as you think. First thing first, calmly SEPARATE the dog and the child. Either by calling the dog to you or by calmly removing your child. Don't be tempted to try to lift or physically move your dog or you could risk a bite yourself. Secondly, DON'T PUNISH THE DOG for growling. Does this sound like crazy advice? Surely he needs to learn that growling at children is wrong? But all behaviour happens for a reason and growling is no different. A growl is an early warning system that a dog is uncomfortable or anxious about the presence or behaviour of the child. We should be glad that he has given us a chance to intervene and defuse the situation before things escalate. If the dog is punished for growling we run the risk, not only of disabling that early warning system, but also of creating further negative associations with the child. Try to IDENTIFY THE TRIGGERS. Was your child sitting on the sofa with your dog? Petting the dog? Playing rough & tumble with the dog? Was the dog sleeping? Eating? Playing with a toy? If you understand the triggers then you can prevent the same situation happening tin the future. Increase SUPERVISION. Active supervision of kids and dogs is the easiest way to keep everyone safe and happy. That means being actively involved in supervising interactions...not simply being in the same room. If you can't supervise, separate. TRAIN YOUR KIDS! Teach them to let sleeping dogs lie and to give dogs that are eating space. Teach them how to pat a dog respectfully and considerately and not to manhandle or hug dogs. Teach them what to do if a dog's behaviour is scaring them. TRAIN YOUR DOG. Teaching your dog to be happy and relaxed in a crate can give him a safe place to go when he needs some space. Just make sure your child knows that if the dog is in his crate he's to be left completely alone. If the problem is ongoing then you should seek advice from a suitably qualified professional trainer. If you live in the Glasgow area and need help managing your child/dog dynamics I'd be happy to help you. If you live further afield I can still assist with general advice via a Skype consultation. You can find out more on my website. Get in touch! I'd be happy to have a chat.